Art journaling is my #1 hobby, and I try to get to it every day if I can. It’s no easy task though when I have a 4 and 2 1/2 year old at home with me all day! Both my girls also love to do creative things, like coloring, painting, crafts, etc. I’m pretty sure my oldest asks me every single day as soon as she wakes up if we can paint. This artist momma is just a little bit pleased they like to create! Lately, I’ve been trying to make time to art journal with kids more often. That being said, sometimes it’s hard to find time for my own art journaling when we are spending time making things together. I luckily still get some alone time in a day, and try to utilize it as best I can. But now that my girls are older, I’ve been trying to include them in me creating art a bit more. They see the things I make, but previously never really saw me creating them. I’m trying to change that and let them be part of the process with me. 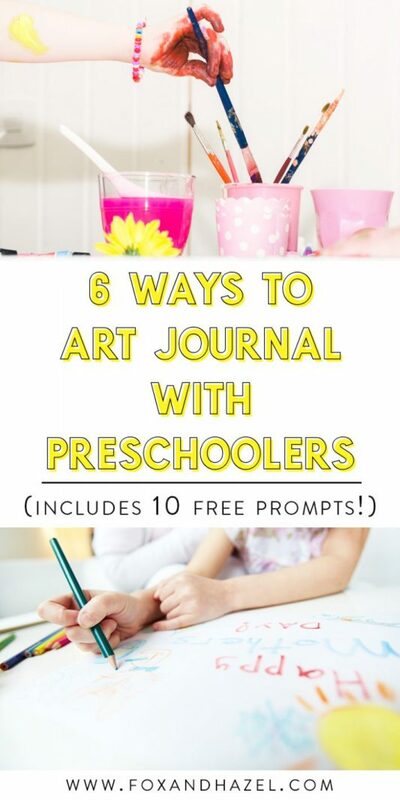 Here are 6 ways I’ve been able to include my girls in my art journals, and hopefully it will inspire you to get your preschoolers involved too! 1. Allow them to create backgrounds in your journal. One of the easiest ways to include my girls in my art journals is to allow them to create in them! This was SO HARD at first! It really was. I struggled with letting go of control of the page and letting them do as they wanted. However, once I let them have the freedom to draw/paint/scribble all over the page they were beyond pleased. I also really enjoy the challenge of taking what they’ve created and working with it to make a page. I still limit my girls to supplies that are age appropriate (we’ve just graduated to craft acrylics), but sometimes I let them take my expensive supplies out and try them. They really like my watercolors, Posca paint pens, and my stamp collection. 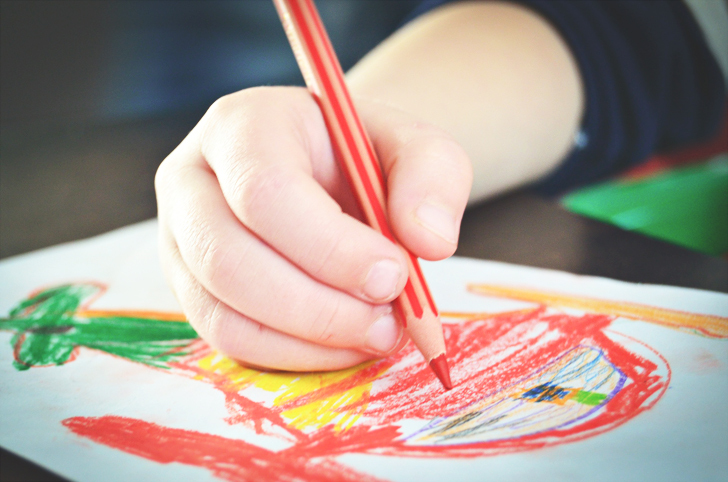 It can be a really special treat to let them use Mommy’s “special” art supplies, and it’s a great way to start introducing them to different mediums as well. 3. 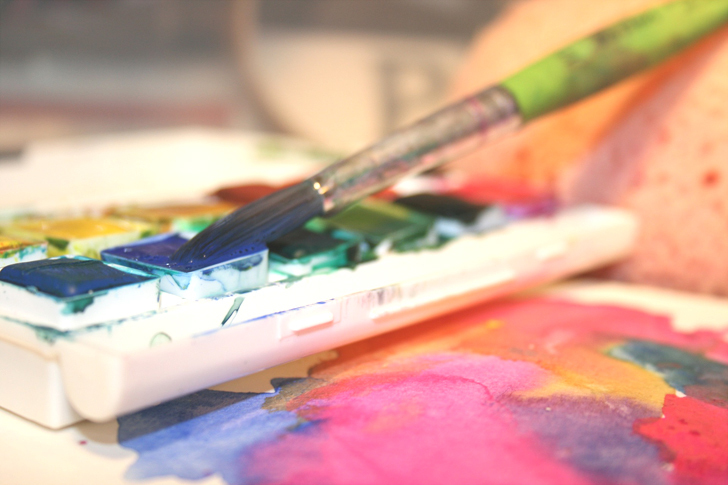 Re-purpose their paintings into journals or collages. My oldest is in pre-school and comes home almost every day with a new painting from class. Like I said, she really loves to paint! She hasn’t moved onto painting any objects yet, so most of her stuff is a lot of colors slapped on the page. I can’t keep them all, but I felt bad throwing them away. One day I had the idea to keep them as collage fodder for future pages. 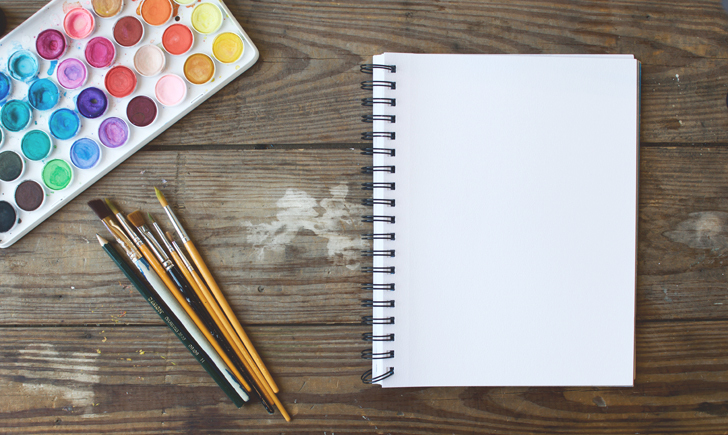 It’s a great way to re-purpose their artwork and to include their essence in your journals. I also have re-purposed paintings they’ve done on canvas pages (basically loose sheets of gessoed canvas) into more art journals. After it’s all dry, I just cut them up and created new pages out of them. 4. Practice cutting skills on old prints or magazines and glue down. 5. Incorporate coloring pages into your journal. 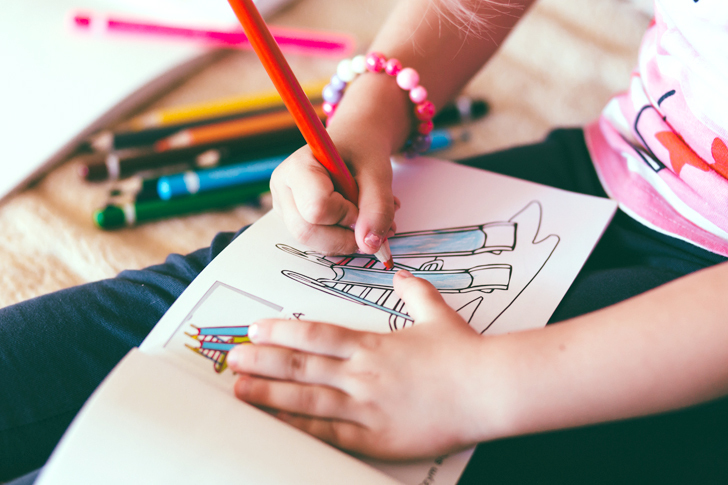 If you’re overwhelmed with half-finished coloring books (basically every mom, ever), you can re-purpose them into elements or backgrounds for your own pages. 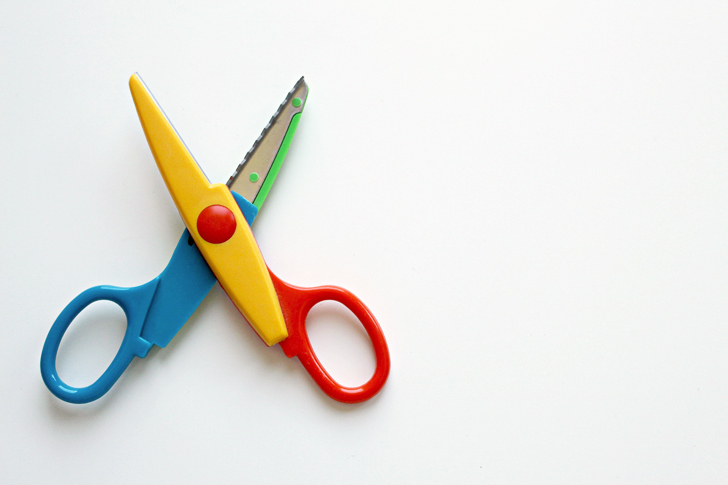 Chop them up, rip them, glue them – have fun with it! You might be surprised what comes out! 6. 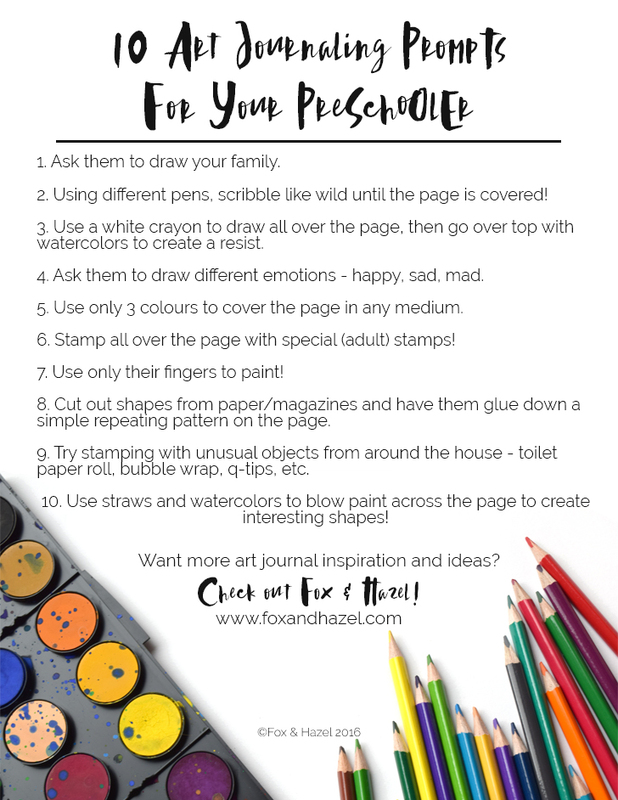 Allow them to have their own art journal, with no rules or instructions. After seeing me work on my tiny art journals, my 4-year-old asked if she could have her own tiny journal to work in. I let her choose one and she has had so much fun working in it since. She also has a larger spiral bound journal that we work in when she wants. The biggest difference between this and other work is that it is HER journal – which means I try to instruct as little as possible and just let her do her thing. It’s her place to experiment, so I try not to interfere. We’re in a blue stage right now – every page is blue. 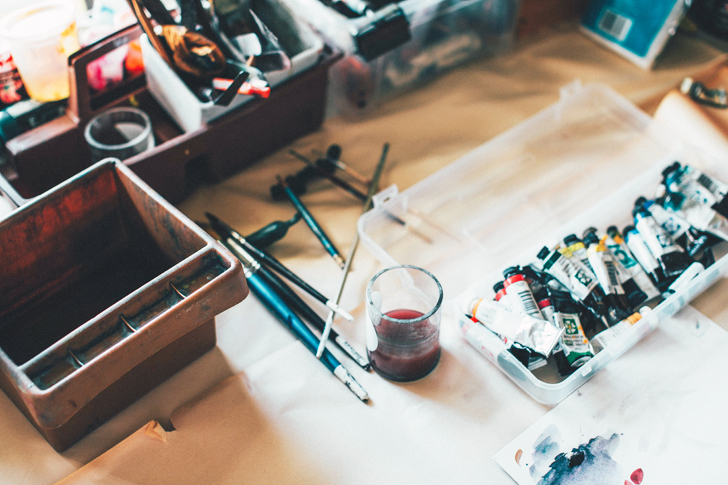 How much do you include your kiddos in your art journal or art process? I think all artist’s struggle with the balance of exposing our kids to art making, but wanting to just do what we want! 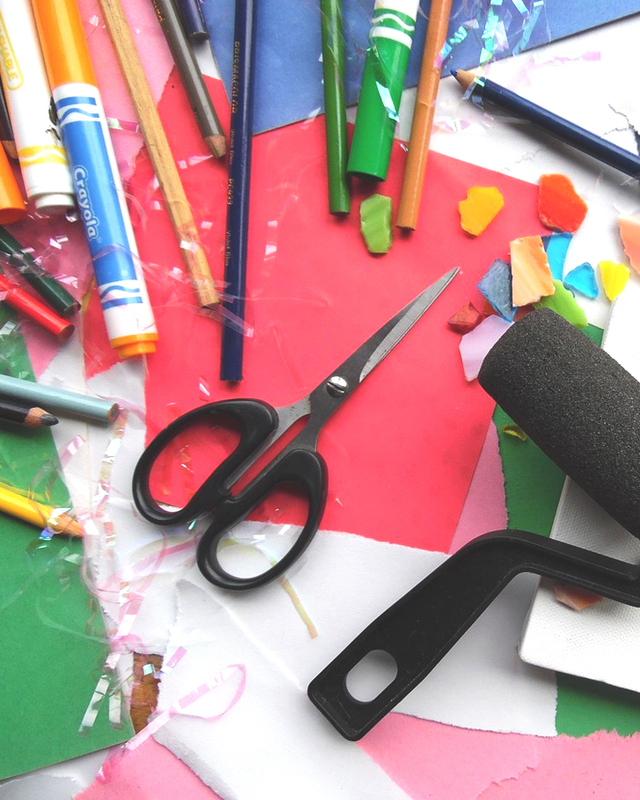 To help you get started, I’ve got 10 free art journaling prompts to use with your 2-5 year old. Super easy ones that they will love trying out!